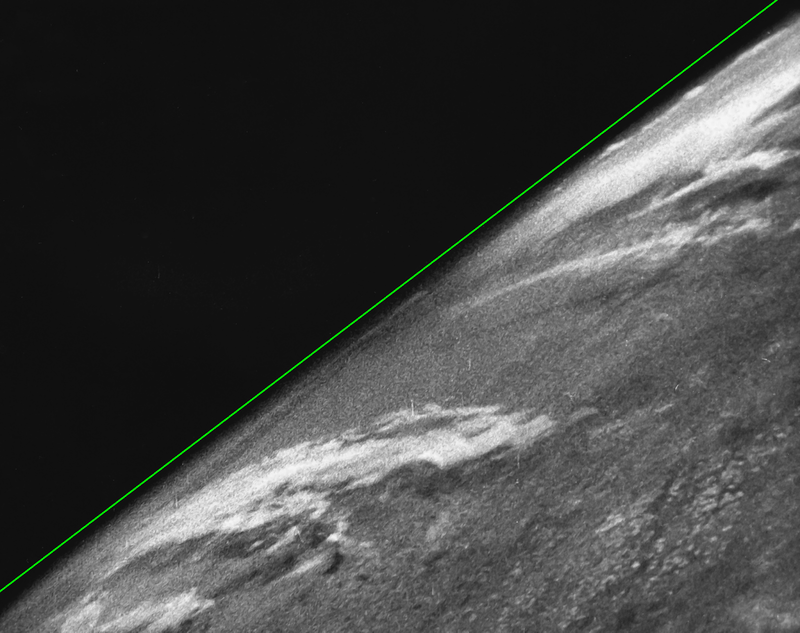 In this little series I will cover a few examples of what flerfers do to discredit photos taken from space. Usually they just scream "Photoshop!" or "CGI", but sometimes they take time and do more sophisticated stuff. In this post I will explain to you how they "proved" the following image to be photo-shopped. 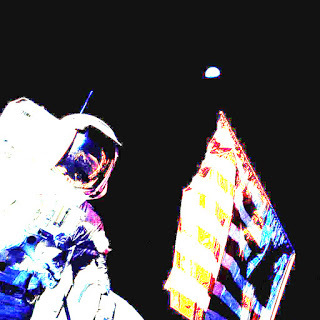 And then he concluded that the photo has been photo-shopped, because some strange artifacts appeared around the Earth. At first glance, for a person with no technical background, his explanation may seem perfectly valid. There are indeed some strange artifacts present around objects in the photo. It really seems like someone copied the Earth carelessly, without taking care of details and pasted it there. What's going on there? Well, for starters, he used a compressed, jpg version of the photo. Moreover, his file was a low resolution version as well. To fully understand why it does matter, we need to grab some basics of the image compression at first. After the short theoretical introduction, I will show you how to repeat Skiba's experiment and explain what do we really see in the processed photo. I will also show you what happens when you apply the same procedure to a raw, uncompressed photo. If you already know how image compression works, and what are the side effects of such procedure, you can skip to the experiment. First of all, let's get through basics of the image compression. I won't go into the details though. Let's consider this article as a brief introduction to the topic. What does image compression mean? In short it means information encoding using fewer bits thant the original representation. In other words, it's making the image occupy smaller part of computer memory. In general there are two types of compression: lossy and lossless. Lossless compression introduces zero loss in image quality. Every pixel in the compressed version is unaffected. It is identical to the original version. Compression is achieved by rearranging the information (bits) in a more efficient way. However, the cost is that the final file size is not as small as options like lossy. PNG is an example. Lossy compression is far more efficient in terms of image size. But it comes with a price - loss in quality. It means that some part of data is lost during compression and thus unrecoverable. Compression algorithm deletes part of the original image in order to reduce the size more efficiently. Because of that, the loosy compression introduces a noticeable distortion, called compression artifacts. JPG is an example. loss of sharpness around high-contrast edges. That's exactly what we can see in the Skiba's photo. Changing the color levels just makes stuff like this more visible. 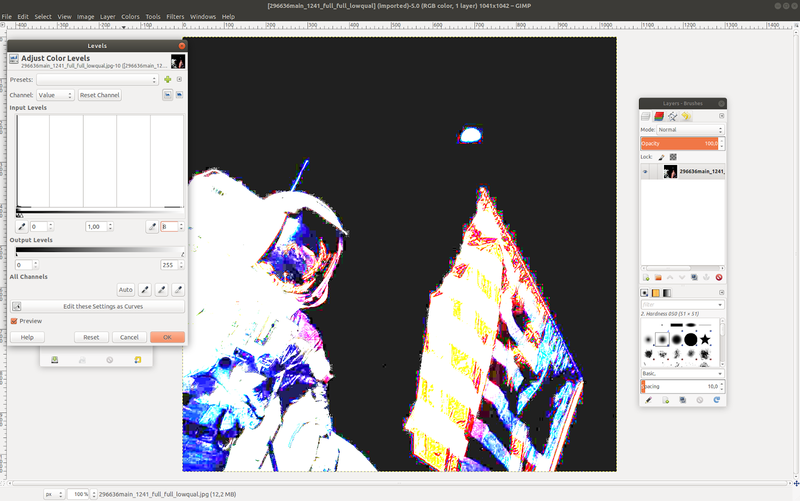 In order to prove that those strange artifacts around objects are really just compression artifacts, I am going to repeat the same procedure Skiba did, on two images; one in jpg format (the same version he used), and one in png, lossless format, and compare the results. Ok, let's start. Here are the images. Seems that the jpg version has been cropped a bit (notice lack of frame around photo when compared to the png version), but it does not matter. 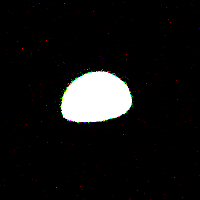 There is some noise present in the png after changing the color levels, but those blocky compression artifacts around every object are gone. 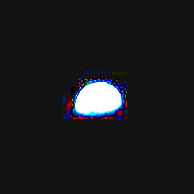 As you can see, these blocky artifacts around every object present in the photo in question magically disappeared when I took hi-res losslesly compressed picture. They are not any proof of photo manipulation. They are merely compression artifacts. A side-effect of a lossy image compression algorithm, like the one used in JPGs. Flerfers, you keep saying that we should do our own research, and we shouldn't blindly believe scientists. Do everyone a favor, use your own advice sometimes and verify the stuff you throw at us. 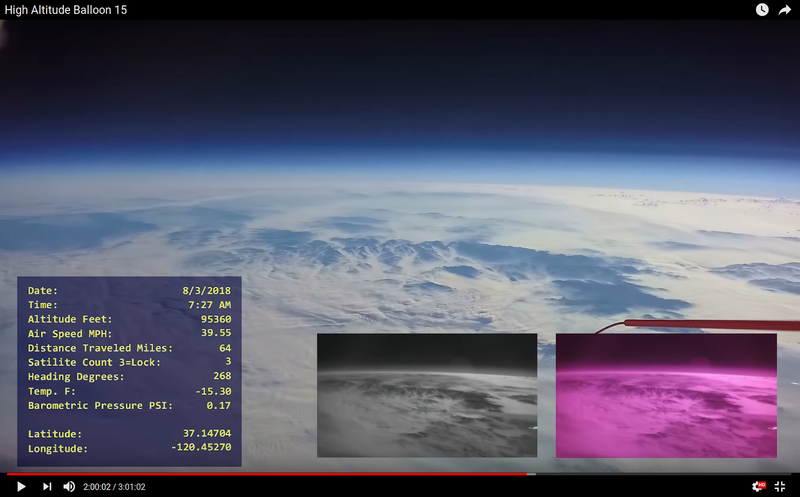 Flatearther's claim #2 - "No curvature is visible in high-altitude footages"
Indeed in this picture there is no curvature. So, are they right? Is there no curvature? Have we been lied to for years? Relax. It is nonsense. They manipulate footages in order to make the curvature not apparent. How? Stay with me, I am going to show you a couple of techniques they implement. 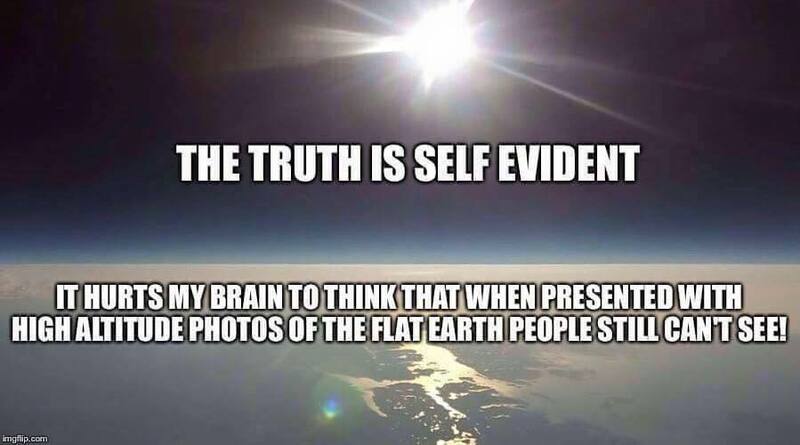 It is funny by the way, because they accuse NASA, ESA, scientists and pretty much everyone who does not believe in Flat Earth, of fabricating evidence. Seems that they are the ones who actually do photo-shopping to prove their ideas. Let's see how to make such fakes. 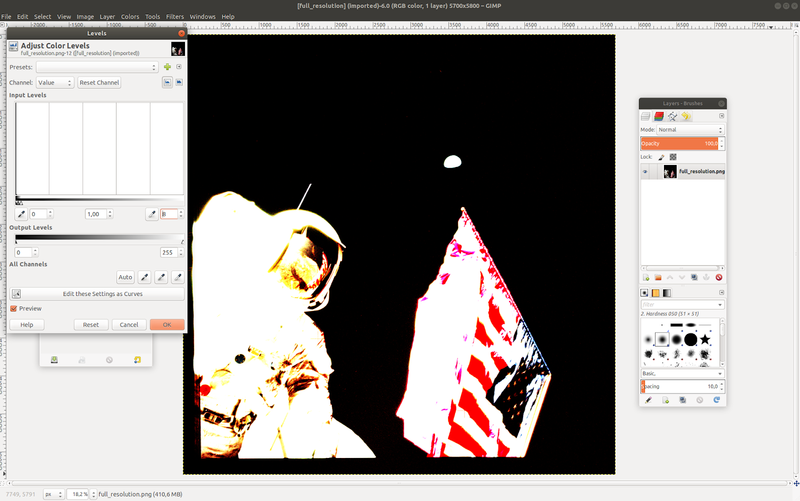 Image cropping is just the removal of outer areas of an image. Usually people apply this in order to remove unwanted surroundings or to change the aspect ratio etc. 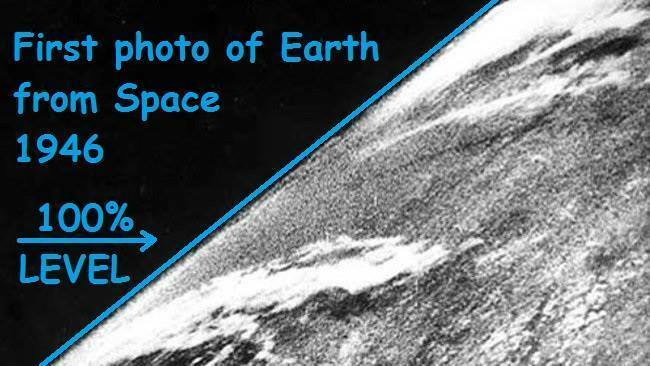 Flatearthers crop images in order to make the curvature less apparent. I have already shown one example of cropping done by flatearthers in this post. It was a picture taken in 1946 from a V2 rocket. Let's try to produce a fake no-curvature photo. I will use a frame from this footage by Dwayne Kellum. As you can see, the curvature is not that apparent anymore. But why does that work? It is simple. Every curve appears straight, when your are allowed to see only a small piece of it. I have covered this in detail in this post. And that's what I've just done. 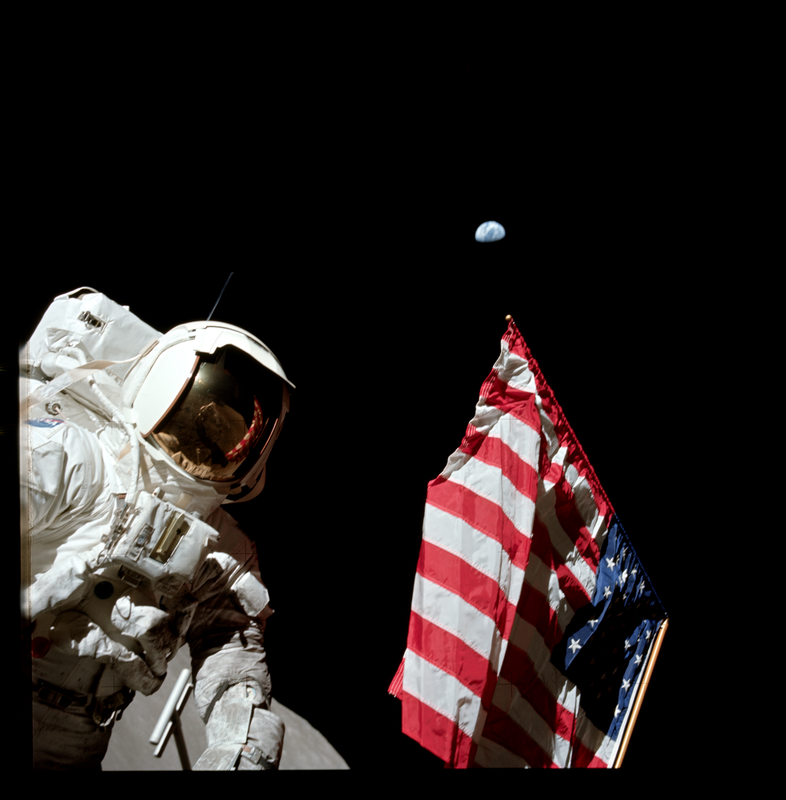 I've cut off a significant piece of the photo letting you see only a fragment of the curvature from the original. Due to the distortion this kind of lens introduces, the horizon goes from a concave curve, through a straight line, to a convex curve. Back and forth throughout the entire fish-eye lens footage. Here is the footage I'll be analyzing. It has been made by Marcin Krzyzak. Let's see some frames. In this one the curvature is present too. But wait. It is concave now! Fish-eye lens video footage manipulation is also very useful, if you want to make your claim even more credible by showing a video instead of a static image. 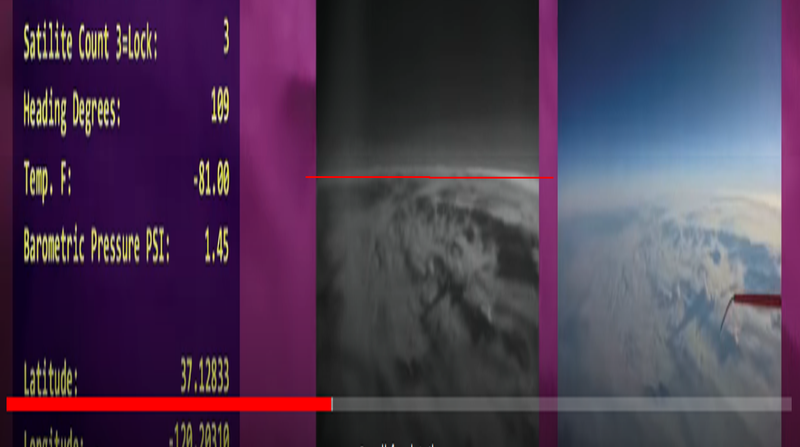 All you have to do is find a relatively stable footage and then find a fragment, when the horizon remains more or less straight for a couple of seconds. Then cut off everything but this fragment and viola. 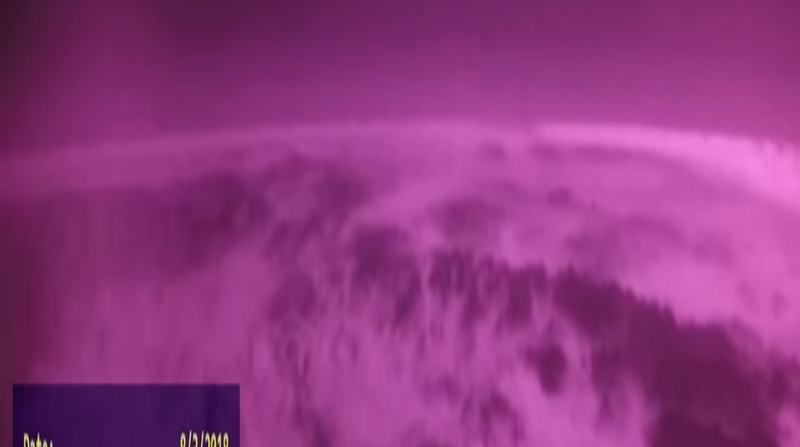 You have a video footage from 33 km altitude and there is no curvature! I think I will show this on the blog as well in one of the future posts. 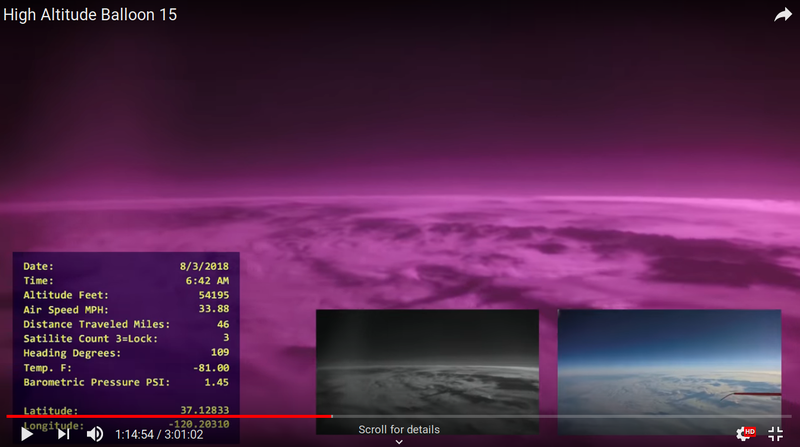 Flatearther's claim #1 - "If Earth was spinning, we would fly off"
Recently I came across an argument against globe Earth referring to Earth's equatorial rotation speed of 1666 km/h, or 1040 mp/h. 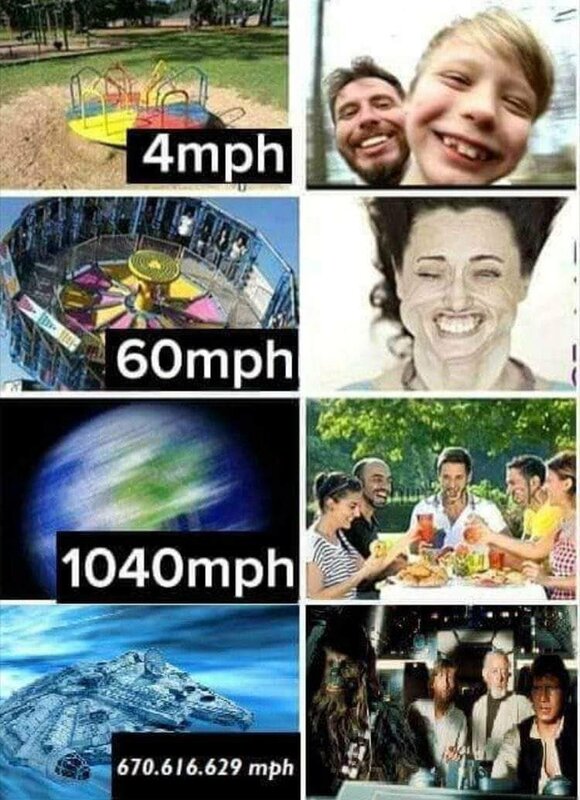 They say that we would fly off the Earth if it was spinning with such speed. Of course their claim is absurd. In this post I'm going to calculate how fast does Earth spin and how fast it would need to spin to actually make us fly off the surface. But before we start, let's do a high school physics recap. I will not go into very many details though, because this is not a physics course obviously. Earth spins around its axis. Let's say, we are standing somewhere at the equator. In this case, we're traveling in a circle. It is uniform circular motion to be exact, because Earth spins at constant speed. Though Earth's speed is constant, its velocity is not. Speed is a scalar, meaning it has only a value property. Velocity, on the other hand, is a vector, and has two values: speed and direction of movement. When a body traverses a circular path, its velocity (direction of motion) constantly changes. Changes in velocity tell us that an acceleration is present. In this case, it is centripetal acceleration. Centripetal acceleration points inwards. 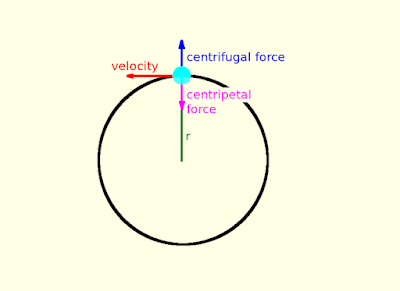 This acceleration is produced by a force, called centripetal force. The force is constant in magnitude and also points inwards. It is the result of the gravitational force that attracts us towards Earth. See the picture below. I've added one more force to the picture - a centrifugal force, because we can look at our problem in two ways; from an inertial frame of reference, and from a co-rotating non-inertial one. In the inertial frame, there is one and only one force acting on the object: gravity. 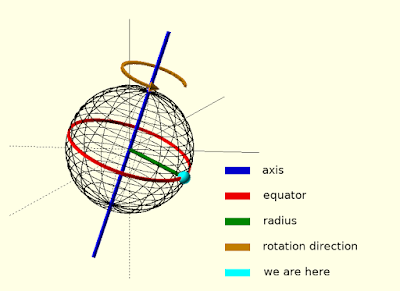 The force of gravity is the centripetal force, which always points inwards, toward the axis of rotation. This force is responsible for circular movement. In the co-rotating, non-inertial frame, we have to consider two forces: gravity and the centrifugal force. Because the non-inertial frame of reference rotates along with the object, the object must not move in this frame. There is a centripetal, gravitational force acting on the object. From the Newton's first law, we know, that if the object remains stationary, the net force (the vector sum of all forces acting on an object) must be zero. To fulfill this, we need another force, counteracting the centripetal, gravitational force. And this force is the centrifugal force. It's a fictitious force, meaning it only exists in non-inertial frames of reference. It doesn't matter which way we choose, the results must be the same. Ok, let's do some math. In the inertial frame of reference, we have only one force acting on our object. Since the centripetal force in our problem is the force of gravity, we can just set the force of gravity equal to the centripetal force and solve the equation for the velocity. This will be the velocity Earth would need to spin with in order to make us fly. 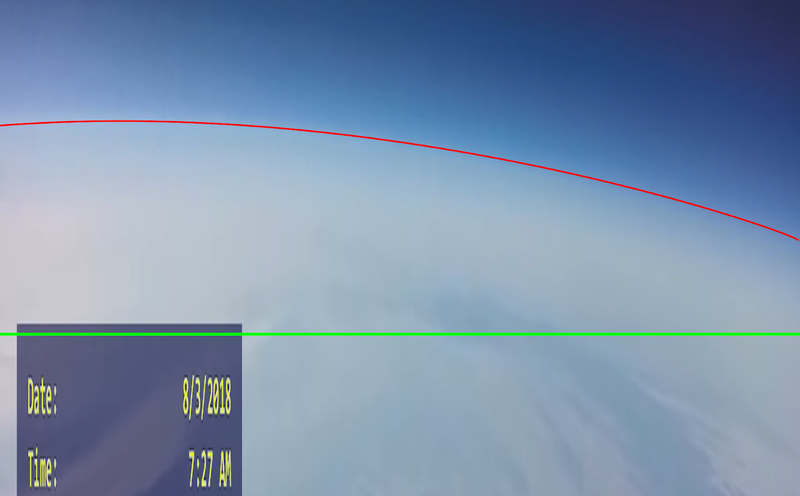 As you can see, dear flatearthers, your claim is just absurd.The Earth would need to speed up by a factor of 17 or so for objects at the Equator to start to be weightless. Or in other words, Earth's rotational period would be around 85 minutes instead of 24 hours. Equations in this post have been generated using mathurl.com. This time we are going to focus on the very first picture of Earth from space! It was taken on October 24, 1946 on the sub-orbital V-2 rocket, which was launched from White Sands Missile Range in New Mexico. The rocket was equipped with a 35mm movie camera, capturing images every 1.5 seconds. The highest altitude it reached was 105 km (65 miles). So that's the story. Now let's move to the actual photo. 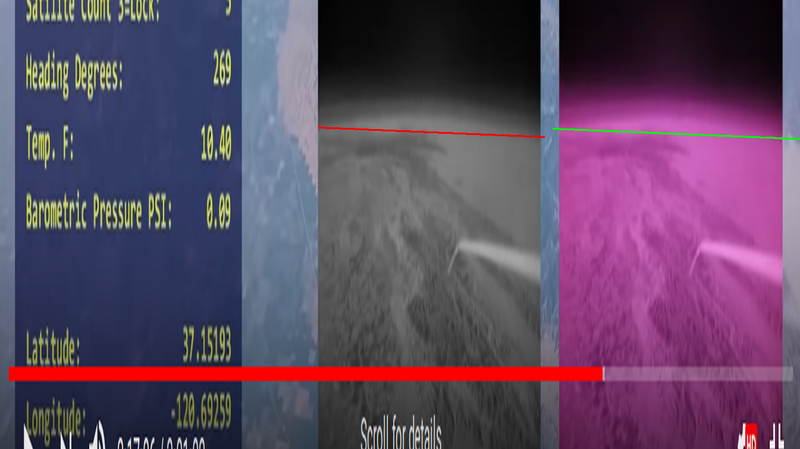 I am going to do a little analysis there, using techniques described in one of my recent posts , because this photo can be used to prove the existence of curvature. Let's rotate a little bit, so the straight line becomes more or less horizontal. Of course you can always say, they were faked by National Advisory Committee for Aeronautics - NASA's predecessor, and they used some old-school techniques, like these . But the fact that it is possible to fake something is not an evidence. It is possible to counterfeit money. Does that mean there is no real money at all? Yes, you are right. 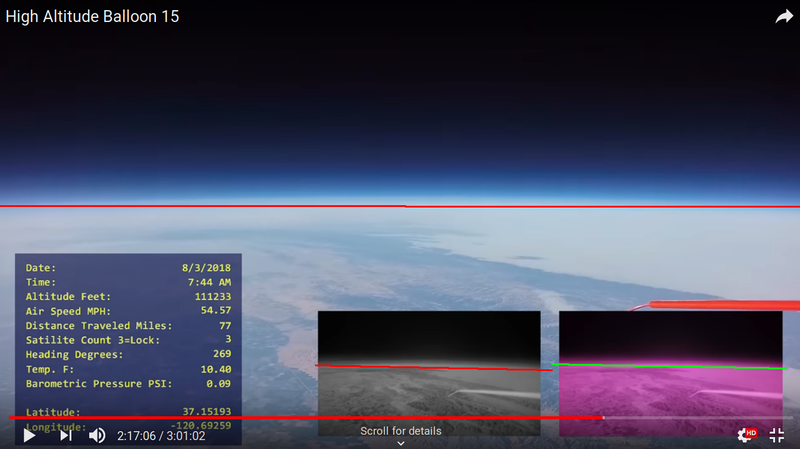 The photo Flat Earther's are using is cropped! So who makes use of of photoshopped images to prove they are right again? :) I could have done a better job and fit it more perfectly, but I think it is clearly visible how much of the photo have been cut. Cheers! Hello everyone. Last time I showed you some simple techniques you can use to make the curvature more visible. I have proven that these techniques do not add the curvature to a photo. They only help to elicit one if it was already there. Today I am going to be showing you the results of my analysis of this footage from a high altitude balloon. The footage was taken using two GoPro cameras equipped with 4.35mm lenses. One of them had a infrared filter. In every image you will actually see three frames. Two versions in infrared, and one taken without filter. I recommend you to visit Dwayne Kellum's channel. He has more videos like this. I took some frames from various altitudes and applied both a reference line and a vertical stretching to all of them. The reference lines are not entirely horizontal, because the frames I chose were slightly tilted. I tried to catch and connect both ends of the curvature. You should see that somewhere in the middle, Earth's curvature is always visibly above the reference line. 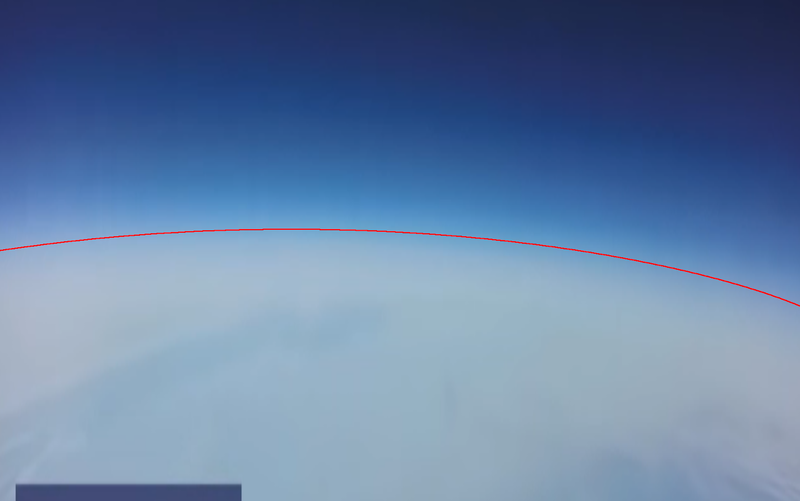 It is not a straight line flat-Earthers want it to be. This is even more visible after stretching. Let's see the results. 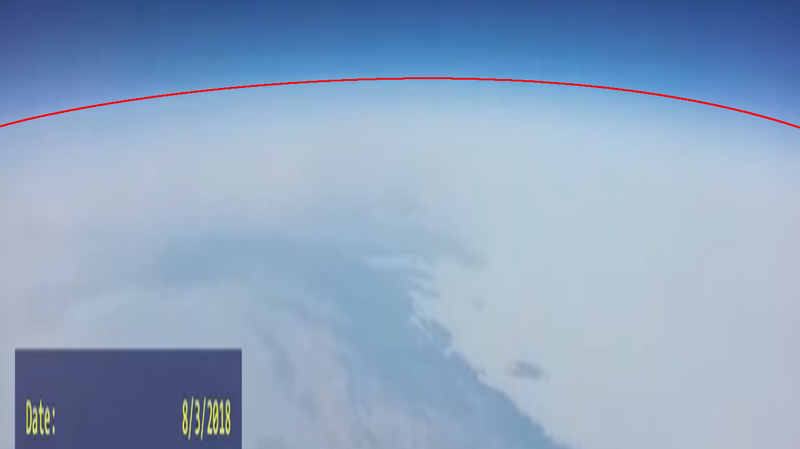 As you can see, the curvature is easily visible in footage taken from 33.9 km, 29.5 km and 16.5 km. 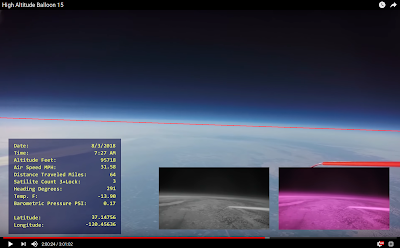 Of course I could keep going and apply the same procedure to the frames from lower and lower altitudes and the curvature would still be visible. But of course I would eventually end up with completely unreadable pictures. Stretching affects a photo quality, and I would have to stretch more and more, because as you should now know, the closer you are to Earth's surface, the more flat it appears. I think you get the point. 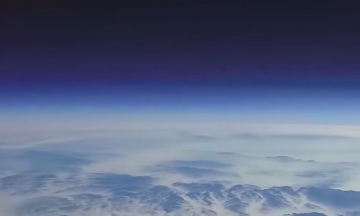 The curvature is visible, and you don't have to go to space to see it. 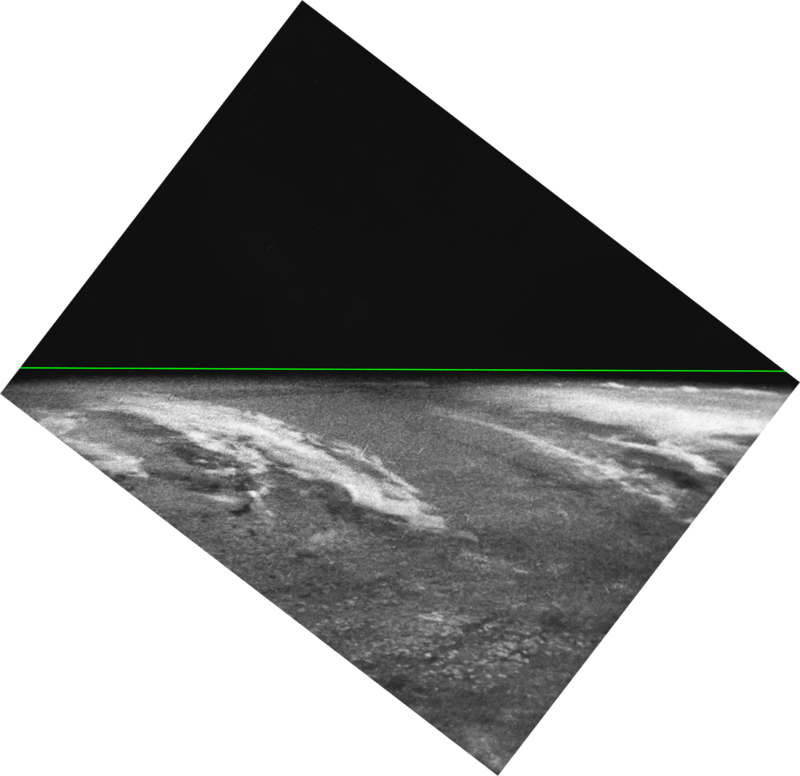 In fact, the very first image from this post should be enough to convince you about the existence of the curvature. 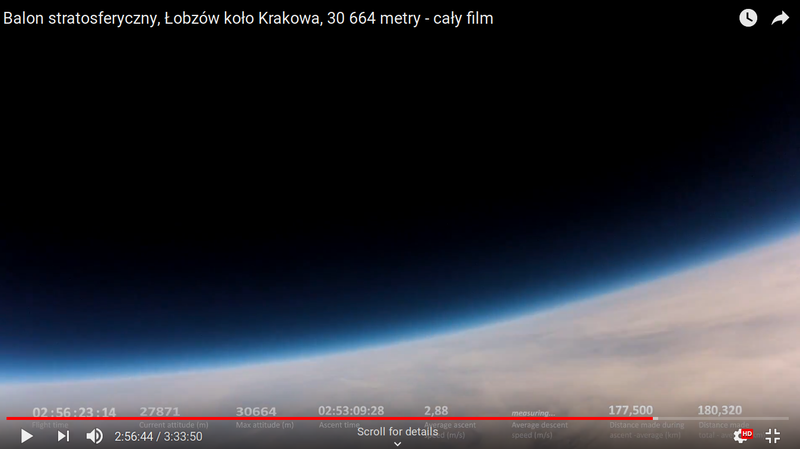 Like I said before, the images from space are the ultimate proof, and the topic for a separate post, but as you can see, pictures taken from a balloon are good enough to prove that the Flat Earth theory is wrong. So, that's it for today. If you enjoyed this post, I’d be very grateful if you’d help it spread by emailing it to a friend, or sharing it on Facebook. Definitely you should share it with a flat-Earther, if you know one. And feel free to leave a comment below. Hello everyone. In my previous posts I mainly focused on the fact that it is hard to see the curvature on daily basis, and what is the reason of it. I've shown you how big our planet is, how tiny we are and also how observing a curve or a sphere from a very close distance make them appear straight and flat respectively. In the next couple of posts I want to show you that it is possible to see the curvature. Even from the ground. And I am going to show you how to do this. I'm going to start with sharing some techniques helpful during photos analysis. We will use them later. They help to "elicit" the curvature if there is one in the photo. 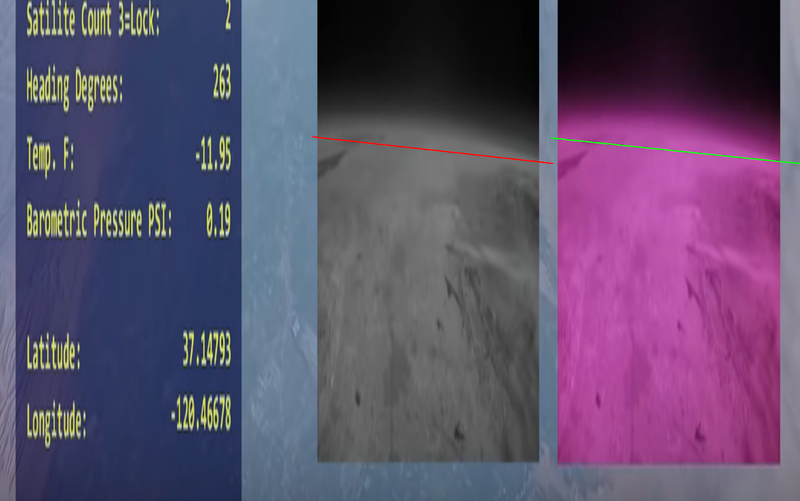 They are especially useful, when working with low altitude footage, where the curvature is not immediately apparent, because of the reasons I described in my previous posts. 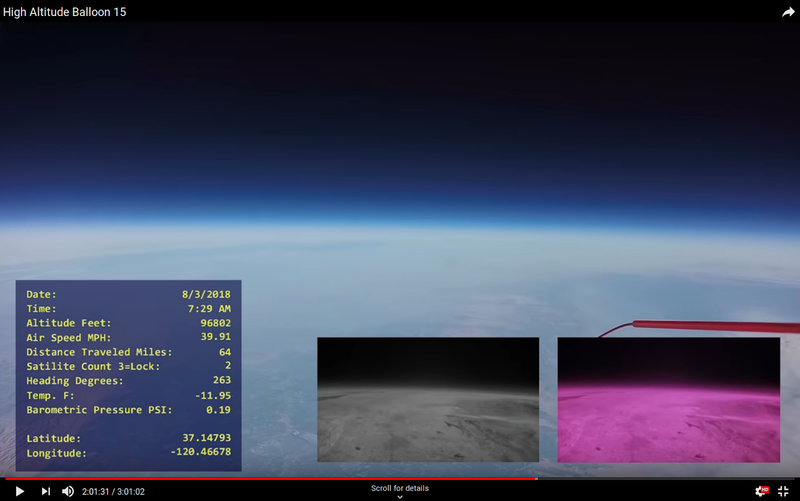 You can clearly see the curvature from higher altitudes, without any image manipulations though. This will be discussed soon. All this involves some picture manipulation in software like photoshop or gimp, so I bet flat-Earthers are now laughing and screaming their usual arguments regarding faking the evidence. But, like I will show you in a minute, these techniques do not add the curvature. They only help to elicit one if it was already there. Let me show you how this works. First technique is just adding a straight line near the horizon. How simple is that! 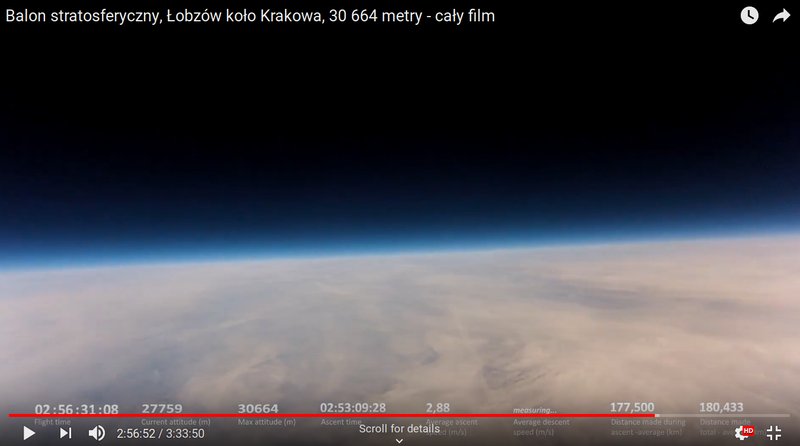 You can do it in 2 minutes flat-Earthers and you will see, that even in the pictures you keep sending me as a proof of a flat horizon, the curvature is visible. All you need to do is to add a reference line and you will see that the horizon is not flat anymore. Have a look at the picture below. It is a frame from a high altitude balloon footage, which has been taken at 95718 feet = 29.17485km altitude. You can find the entire footage there. I recommend you to visit Dwayne Kellum's channel. He has more videos like this. I've chosen a little bit tilted image but it does not matter. And the same picture with additional red line. You can clearly see that in the middle the horizon is visibly above the red line and it meets the line at its both ends. Second technique is also quite simple. This time all you have to do is to stretch your image vertically. But doing this is clearly an image alteration, you may say. It is indeed. But like I already said, these techniques do not produce the curvature out of nowhere. 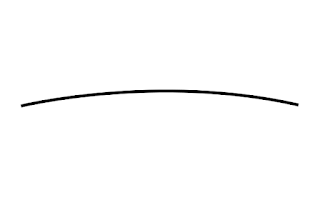 They can't create a curved line out of a straight one. Let me show you some examples. Here is a regular, horizontal, straight line. Nothing special. When you stretch it, or in other words, increase its height, it becomes, yes you guessed, a straight line. Have a look at the picture below. The only difference is that the line is now thicker. So like I said before, stretching does not produce a curvature out of nowhere. 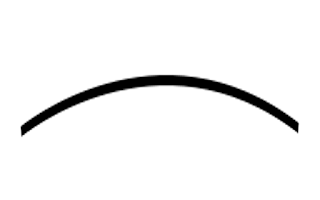 Now let's consider a curved line, like the one below. Here's how it looks like when it got stretched. Notice the change. Not only it is thicker, but also far more curved. Ok, you have seen some simple examples. Let's see how stretching affects real objects. 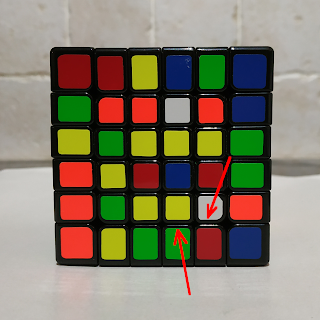 Below you can see a 6x6x6 Rubik's cube. Every side of a Rubik's cube is made of square stickers arranged in a chessboard-like pattern. Black plastic the cube is made of creates a net of straight lines separating colorful stickers. I've added two arrows for a reference. And that's what happened to the cube when I stretched the image. Please notice that the pieces' edges are still straight lines. So again, stretching does not produce the curvature out of straight lines. Remember that flat-Earthers when you accuse me of fabricating photos next time. And for the completion, let's stretch the image I've shown you at the beginning. Looks like the curvature is clearly visible now. In the photo below, I've added two lines. The red one indicates the horizon. It is a curve, no doubt. Please also notice the green line too. It is a reference line that proves the stretching I've done hasn't affected straight lines the box with information is made of. See for yourselves flat-Earthers. 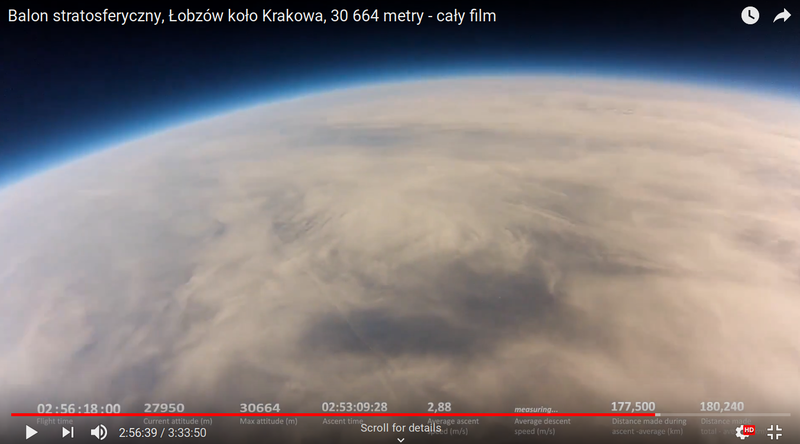 A large number of photos of Earth taken from space or high-altitude balloons are being dismissed by flat-earthers because they were made using fish-eye lenses. 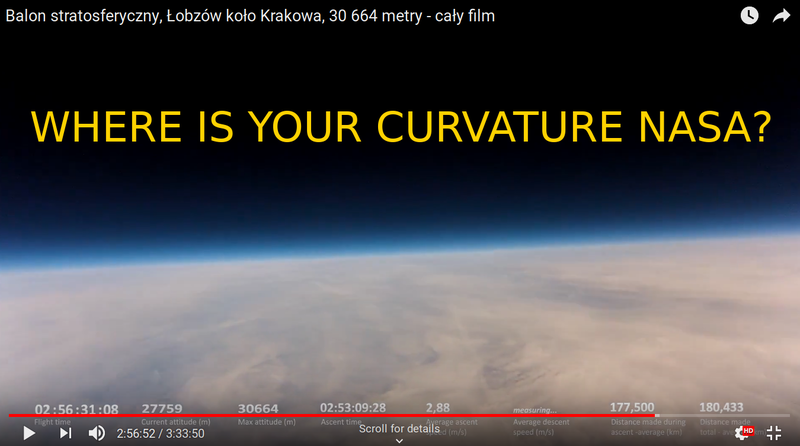 They say that any curvature present in those photos is not real and is just the result of the fisheye distortion and thus it cannot be used as evidence. But the truth is that even if fish-eye lenses were used, footage still can be used to prove the existence of curvature. Any photographic lens has a very useful property: a straight line will also appear straight as long as it goes through the center point of the photo. If the horizon goes through that central point, we can tell if it is a horizontal line or a curve. If it appears curved, then it must be curved in real world. Let's see some examples of how the fish-eye lens work. 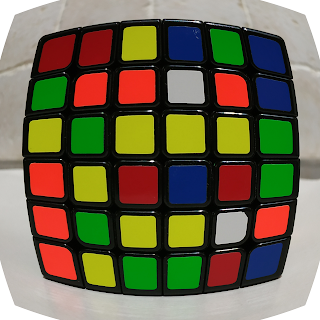 Let's apply a fish-eye distortion to a Rubik's cube picture. I don't have the lens, so I had to do it this way. Like I said, every side of a Rubik's cube is made of square stickers arranged in a chessboard-like pattern. There are lots of straight lines. So it should be easy to see the distortion after applying the effects, and also what has been left unaffected. Have a look at the picture. Did you notice anything? 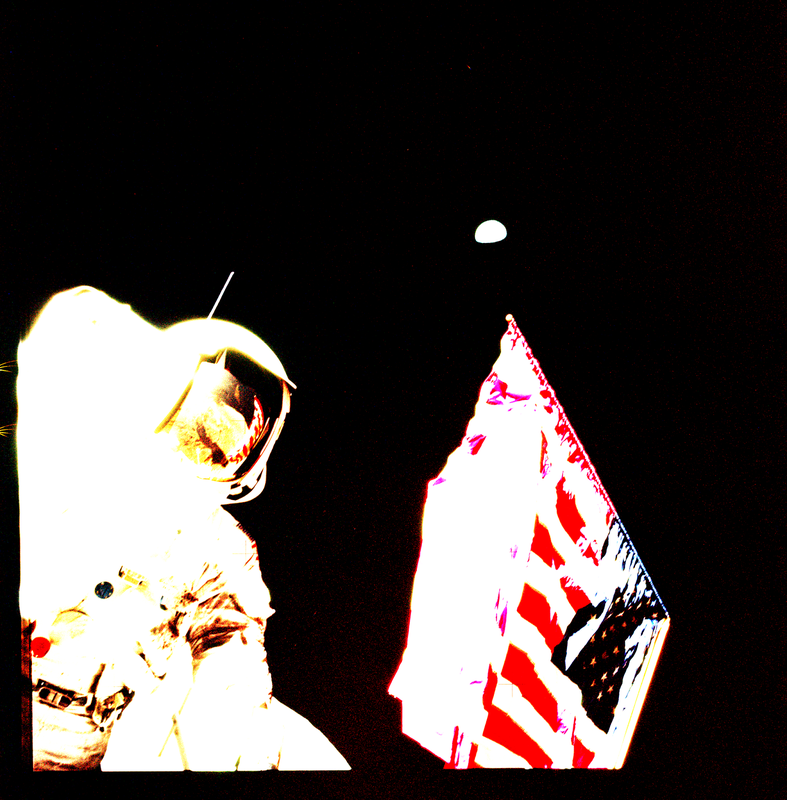 Two straight lines remained unaffected after I had applied the distortion. 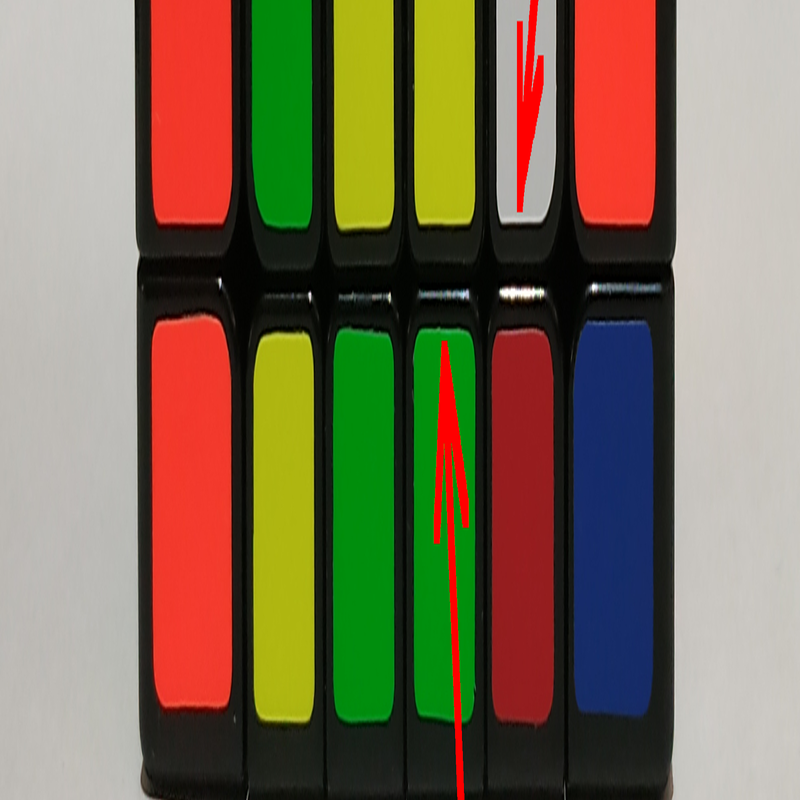 I've marked them using red in the picture below. If you still have trouble with this, I've added more reference lines to the photo, so you can see how everything except the lines that cross the center point is affected. This proves what I've written before. You can use the fish-eye lens to prove that the horizon is not flat. Because if it was flat, it would also appear flat in the picture taken using fish-eye lens. Of course the horizon must be kept in the center of the picture. In this post I described some simple techniques I'm going to use in my subsequent posts. I've proven that they do not add the curvature to photos. They merely make the already existing curvature more visible, and can be very useful if you want to prove the Earth is round based on low-altitude photos. I've also debunked the flat-Earthers' claim that any curvature of our planet shown in photos is the result of the fish-eye effect. Not only that's not true, but also a footage taken by fish-eye lens can be used to prove the existence of curvature. 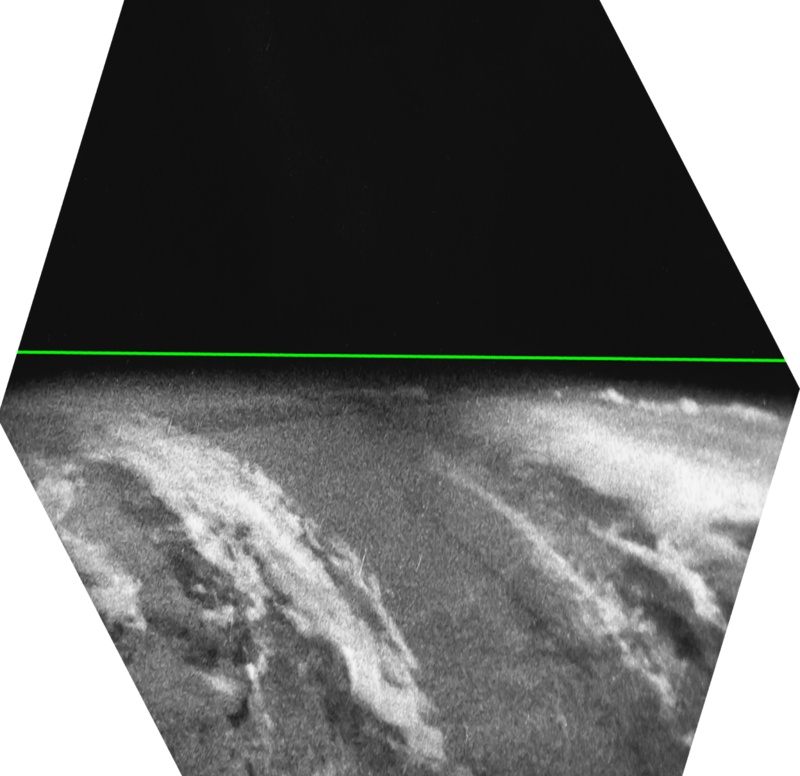 Next time we will go through pictures taken from different altitudes and see a lot of curvature!